Horrocks has made more than 20 documentaries since the mid 1980s. Her portraits of photographer Marti Friedlander and artist Len Lye, among others, have screened at festivals around the world. Marti: The Passionate Eye (2004) was one of only 20 films invited to German festival Doku.Arts, from over 600 entries. Follow-up The New Oceania screened on ABC Australia and at the 2005 Hawaii International Film Festival, while 2010's Dance of the Instant won three awards at New Zealand's Documentary Edge festival. Born and raised in Auckland, Horrocks began studying part-time for a Bachelor of Arts while she was bringing up two children. By 1975 she had a Diploma in Teaching, and a Master of Arts with Honours in English and Italian languages and literature. After three years teaching English at Penrose High School, she returned to Auckland University for a Drama Diploma in 1979. That year she made her first documentary, Ensemble, a study of Auckland theatre company Theatre Corporate, which screened on arts show Kaleidoscope. She had caught the filmmaking bug. The following year Horrocks went to New York, where she interned at TV station WNET. As she told The NZ Herald, "I explored filmmaking non-stop, went to courses and such, and when I came back I never went back to school teaching — I just went straight into the industry." A Master of Business Administration (again completed part-time) helped give her the confidence to launch Point of View Productions in 1985. She runs the company with husband Roger Horrocks. Point of View began by making training videos about major changes occuring in management. There have also been awards for educational films on diabetes (Stay in Touch) and drug P (Sophie's Story, which was shown in high schools as part of the health curriculum). Starting with Pleasures and Dangers (1990), which profiled six women artists, Horrocks has made a long run of documentaries on Kiwi art and society. Another early title was Act of Murder, which won the Premier Prize at New Zealand's Media Peace Awards in 1993. Horrocks and cameraman Leon Narbey followed actor Miranda Harcourt around North Island prisons, as Harcourt performed a one woman play based on accounts of violent crime. The mid 90s saw Horrocks creating a number of documentaries for television. Her work was among the first to look in depth at New Zealand popular culture. Putting Our Town on the Map (1995) featured Miranda Harcourt surveying Kiwi towns' unusual attempts at self-promotion, including giant carrot statues and oversize soft drink bottles. The documentary was born from a book of the same name. Kiwiana (1996) explored the growing interest in items that represented Kiwi life and culture, from buzzy bees to jandals. It proved so popular that Horrocks was quickly commissioned to direct a sequel. Kiwi As (1998) celebrated Kiwi food, language, and rural icons. In the same period, Horrocks was dipping her toes into the world of art collectors and art galleries, with documentaries For Love or Money and Transformers. She also began specialising in intimate portraits of local creatives — from poets to playwrights and photographers. Many have screened both on television, and as part of New Zealand's annual International Film Festival. Keen to "let the subject tell the story", Horrocks rarely uses a narrator in her work. Flip and Two Twisters provided an introduction to expatriate artist and filmmaker Len Lye. “At the time of making the documentary Len was known to artists,"says Horrocks, "but he wasn’t known to the wider public at all.” Aside from its many overseas screenings, the documentary continues to play regularly at the Len Lye Centre in New Plymouth. Early Days Yet (2001), which explores the life and work of Allen Curnow, allowed Horrocks to flex her creative muscles by interpreting Curnow's poems. As Horrocks says in this video interview, “I made what I called jokingly “poem videos”. I was rather nervous … because I was sort of giving my interpretation of the Curnow poem … It turned out that he was moved.” The film was completed just a few months before the poet’s death at the age of 90. Bill Gosden, longtime programmer of the NZ International Film Festival, noted in 2018 that Horrocks has had more work in the festival than any other director (ten titles as at 2018). In 2007 she got two films in on the same year: The Comics Show, about Kiwi comic book creators, and Questions for Mr Reynolds, about contemporary artist John Reynolds. In 2010 Dance of the Instant, a film which rediscovers a pioneering ‘40s-era dance group, won three awards at the local Documentary Edge Festival (including Best Short Documentary), and screened at international dance festivals. Venus: A Quest (2013) celebrates the Transit of Venus, the event which first lured Captain Cook to New Zealand. It also traces the history of the Horrocks family from her stepson, comic strip artist Dylan Horrocks, back to 16th century astronomer Jeremiah Horrocks (who discovered the Transit). Subsequent films Free Theatre (about the Christchurch theatre of the same name) and Dancing with Atoms (about Kiwi physicist Paul Callaghan) were also invited to the NZ International Film Festival. Horrocks views both artists and scientists as creative figures, and believes "there are so many important stories about them that our television channels are neglecting to tell". 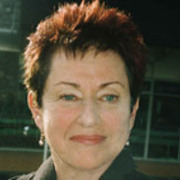 In the 2019 New Year Honours Horrocks was made an Officer of the New Zealand Order of Merit, for services to documentary filmmaking.